We remember most of them by name. Oftentimes we remember the story about how they came to FBR. Even after they are adopted and have become a beloved member of your family – they always remain in our hearts – and to us, they’re always an FBR dog. 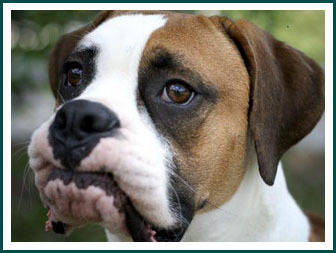 Please use the form below to let us know if your beloved FBR Boxer has crossed the bridge. Please accept our apology if you have previously advised us and their photo does not appear below (please also see archive). We kindly ask that you resubmit so that your dog can take their rightful place amongst their fellow alumni. It may take several minutes for the list of Boxers to appear. We assure you, our Boxer buddies are working behind the scenes as quickly as they can to search the archives.